TISIRI divers made a visit to an artificial reef known as the Dorthy Louise barge (DL Barge) in an effort to remove snagged fishing line hazards. The site is approximately 20 miles east of the St Augustine Inlet and is 80 feet deep. 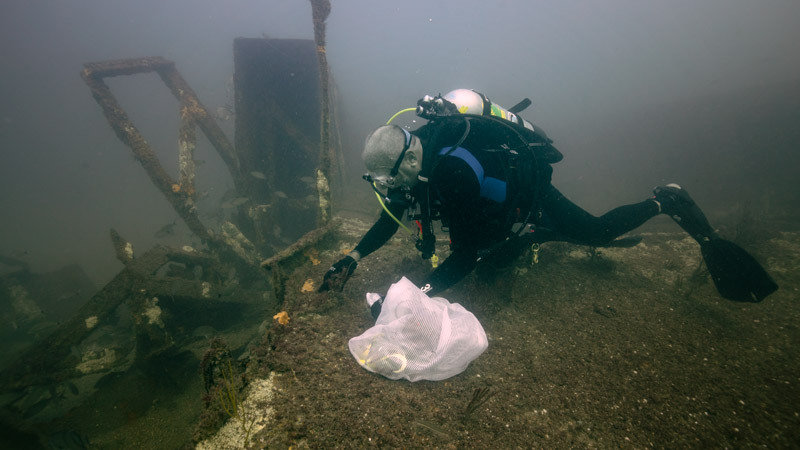 The divers were able to remove a substantial amount of fishing line and other debris items (including what appeared to be an old deployed EPIRP) but it was obvious a much larger clean-up effort will be required to minimize the abundance of entanglement hazards present. Considering the amount of fishing line and rope that still remains on the DL barge reef, TISIRI is looking to coordinate a larger scale reef clean-up effort. Stay tuned for updates regarding this effort and others by following TISIRI on Facebook.